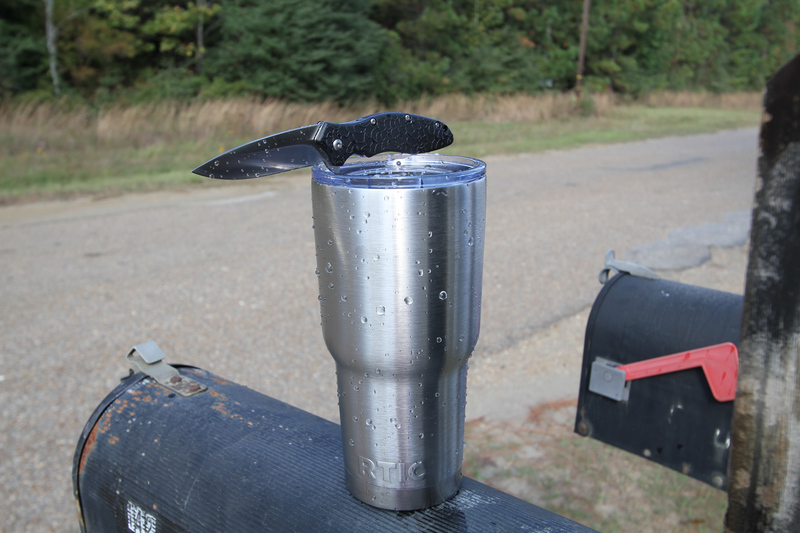 What fits great at the deer camp, the fishing lodge, and the center console of your truck? 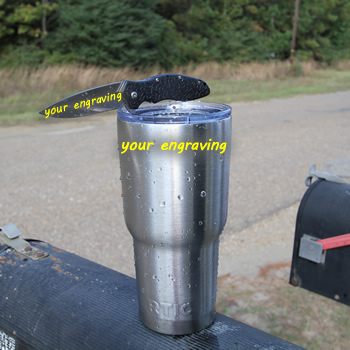 This engraved OSO Sweet knife and tumbler travel mug! While supplies last we are offering this Kershaw OSO Sweet knife and 30oz travel mug combo with laser engraving included for $39.99. Please note that the engraving is already included for both the knife and the travel tumbler so there is no need to add laser engraving on your order. When you fill out the shipping information in your order, please specify what you want engraved on the knife blade and tumbler. 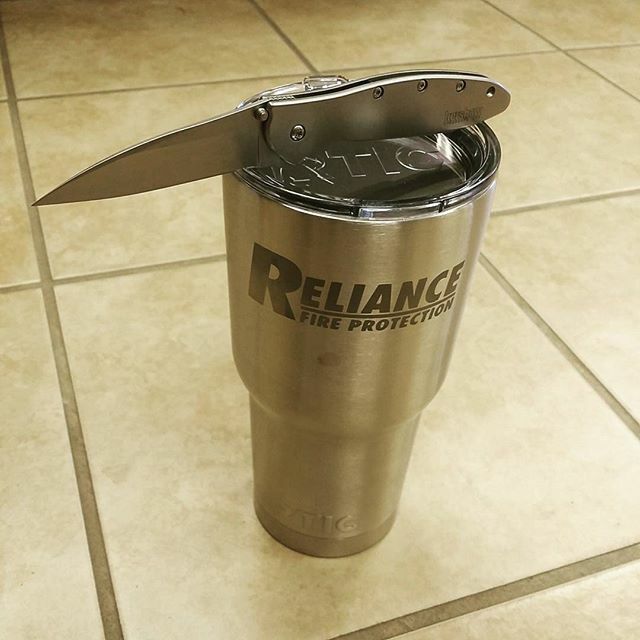 If you'd like to have your company logo engraved on the knife and tumbler email us at sales@Kershaw-Knives.net or call us at 800-458-1606. Also, if you don't want any engraving on your order just leave the laser engraving instructions blank. Any orders with no laser engraving instruction will be understood that no laser engraving is desired. We hope you like our new combo deal!